For furniture & household removals local or interstate. Short term or long term storage options at terrific rates. Complete office or business removals both local and interstate. 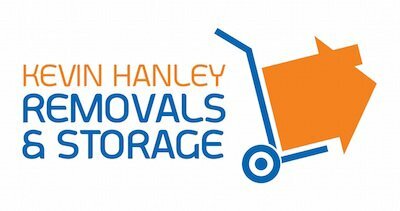 At Kevin Hanley Removals & Storage we provide a high quality service to the Albury/Wodonga and surrounding areas as well as Country, Interstate & Commercial moves. We pride ourselves on a high standard of professional work ethics. Our removal experts are among the most experienced in their field and will go to any lengths possible to guarantee a fast safe and efficient relocation service. We also provide a pre packing service second to none in the industry to ensure your goods are transported safely and arrive damaged free giving you peace of mind and a stress free relocation solution. Ask about our various packing boxes and equipment available for purchase. For each move we undertake, we offer one of our large Pantech removal trucks and 2 of our experienced removalists. Each large furniture item is individually wrapped in a thick padded blanket and secured within our truck, to avoid any movement or damage during transit. Our removalists will place each item of furniture into your new address, where ever you would like. Our removalists are paid above award wage, which enables us to hand pick our staff, to ensure only the very best for our customers. We do this because our reputation is important to us. 2 of our professional, experienced removalists. (Third man available upon request). Disassembly and reassembly of beds and other furniture upon request. Transit insurance on request (whilst the trucks is in motion). Our staff are friendly, easy to get along with and professional! We take pride in our work and are experienced removalists who understand every stage of the moving process. Our team are trained to look after your valuable household items as if they were their own. Your furniture is 100% safe and fully insured with us and during transport. We offer free quotations and reasonable rates. Please supply your phone number for email enquiries, as quotes for each job is different. Moving interstate? No problems! Our team is highly experienced at moving people whether it is interstate or just around the corner. Tell us what you need and let us come up with a suitable budget for your move. Pensioner and student discounts are available. Need short or long term storage? We can cater for all types of storage in our highly secure facility. Contact us for long and short term rates.